Topping headlines in leading outlets like Forbes, Wall Street Journal, USA Today and Marketwatch, Dallas is truly attracting the world. 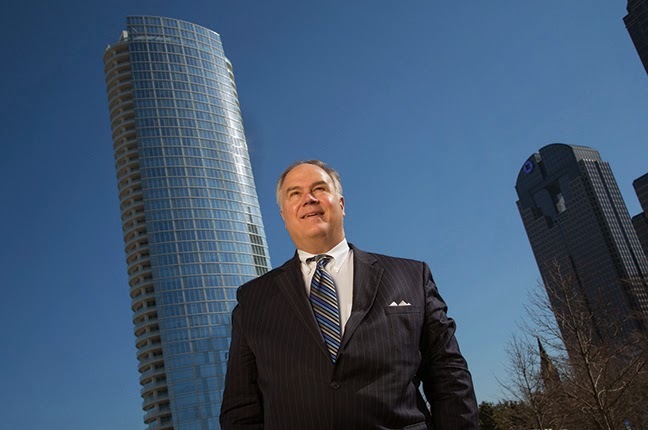 As international corporations uproot their headquarters in favor of the city's thriving business and economic climate, interest in Dallas high-rise living is soaring. Given the outstanding benefits of high-rise living, there's plenty of reasons to choose the best option available. Museum Tower Dallas is the most luxurious residential high-rise in the city with an impeccable location in the nation's largest contiguous arts district. The 42-story beauty is immediately surrounded by the finest restaurants, museums and world-class entertainment destinations such as the Winspear Opera House and Klyde Warren Park. There is no other high-rise in Dallas with a location like this. What's more is that Museum Tower has multiple amenities that take life to new heights for incredibly dynamic entrepreneurs, influencers and executives. Read on to learn more about our features that perfectly suit the executive lifestyle. Arrange your special tour of Museum Tower to experience these features first-hand by calling (214) 954-1234. 24/7 Concierge, House Manager and Director of Resident Relations "Yes is the answer. Now, what's the question." This is the philosophy of Museum Tower's outstanding service team, which includes a 24/7, always on-call concierge, a house manager and a director of resident relations. The all-encompassing specialties of our multi-tiered service team are designed to deliver optimum, unparalleled service to Museum Tower homeowners so they can focus living life to the absolute fullest. Our personalized, hospitable service continually amazes residents and their guests. Simply put, Museum Tower has masterfully perfected the art of an extraordinary living experience. Whether taking an extended business trip or traveling between other residences, Museum Tower homeowners feel confidence and pure peace of mind to jet setting around the world. Our experienced service team will regularly check on your home and take care of the many details while residents are away. Not only do our residents with full travel schedules come home to spectacular views of the Best International Skyline, Museum Tower's staff will also ensure that homeowners come home to the ultimate homecoming. This might just be the perfect wine and cheese pairing, favorite foods or a freshly groomed pet. You can accomplish anything at Museum Tower. The beautifully designed Owner's Lounge is the perfect quiet space to enjoy a freshly brewed cup of coffee and watch the morning news on a high definition flat screen television. 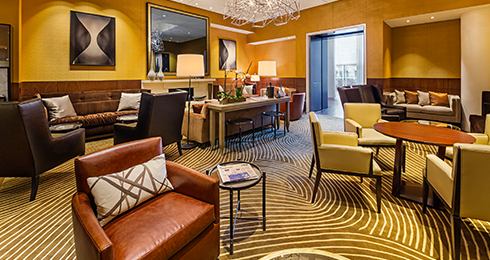 Warm earth tones and brilliant artwork create a comfortable and inspirational atmosphere as well, making the Owner's Lounge an ideal place to create or prepare for a new business meeting. The spacious in-house conference room has every feature needed to successfully host a meeting and close the deal. Museum Tower's conference room has easily accessible wireless Internet, audiovisual equipment, multi-use telephones and view that will undoubtedly impress.